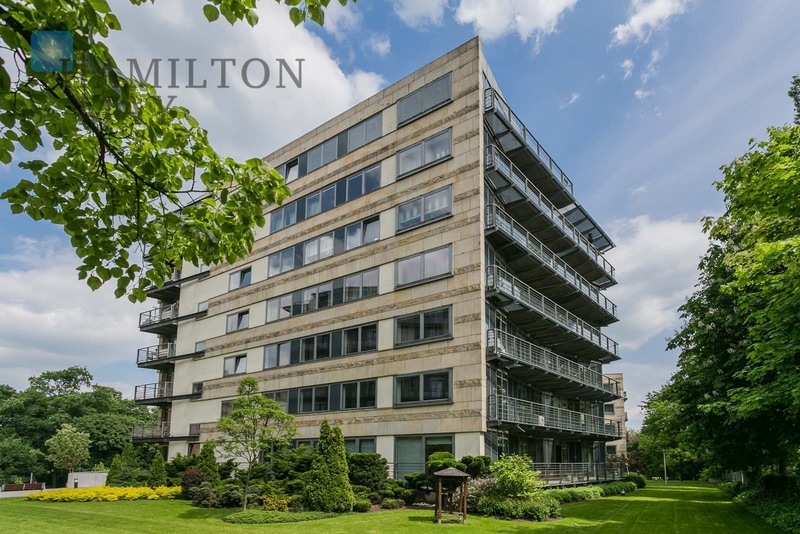 Hamilton May presents a uniquely arranged apartment located in the Holland Park residential building, located right next to the Trzech Krzyży square. 'Holland Park' is a prestigious residential complex located in a green area near Trzech Krzyży Square. Two bent buildings feature 82 spacious and high standard apartments. The investment is located on Książęca street. The location grants a peaceful and green environment of a plot it sits on, at the same time being very central with great access to the infrastructure. It is surrounded with numerous places of interest: restaurants, cafes, shops, theatres and galleries. Network of public transportation in the area is well developed too; very City Center with Palace of Culture, Central Railway Station and Central Business District, as well as Old Town are located within a walking distance.